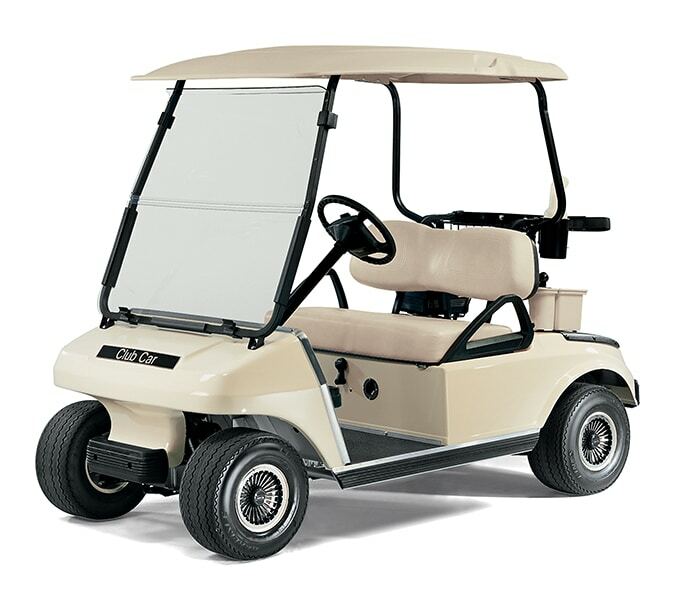 Right after my used golf cart was purchased and in the garage, I set about looking for accessories and tune-up kits for it. First, I had to figure out what the model and year of my golf cart was. What year is my Club Car Golf Cart? The year is in the first set of two numbers in first set of 5-6 digits on the serial plate. It turns out that Club Car was pretty consistent with their serial numbers over the years and if you can read the first six digit on the serial plate, you can use the chart below and know for sure. The two letters at the beginning of the serial number indicate the vehicle model. The following four digits indicate the model year and production week during which the vehicle was built. The last six digits after the hyphen will be the unique consecutive number assigned to each vehicle built within a given model year. Using the chart below, the first 2 digits tells me this is a DS Model Gas car, and the next two digits tell me it was built in 1996. The 5th and 6th digit tell me it was the 25 week of production and the trailing numbers are the serial…or 503,802th produced. The name “Caroche” is French for “Carrage” but was difficult to pronounce, often referred to as “Car Roach” and was later discarded. Bench bottom with individual backs was used. Two brake pedals: One to stop the car, The other is the hill brake, located to the extreme left side of the pedal cluster, used to park the car on a slope. The hill brake is a cable activated system. In 1998, Kawasaki FE350 OHV Engine @ 11 Horse Power (Clockwise Turn) was introduced. In 1993, Club Car replaced the plastic and fiberglass bodies with Armorflex which was a thicker and more durable material. It was less likely to bend and could break in a collision, but it would take a good deal more force to cause harm to it. In 2003 the material Surlyn by DuPont was introduced in the Precedent. The color is molded into the product thus eliminating painting and clearcoat. 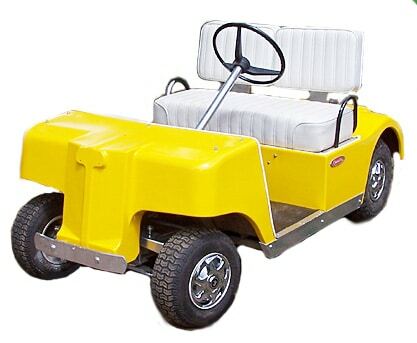 The Club Car Golf Cart was brought to prominence in the field by eight of the original executives, recently resigned from E-Z-Go. 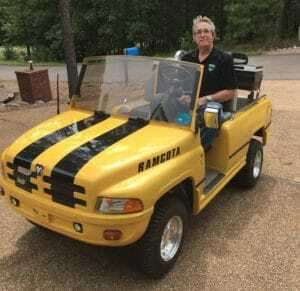 They were late entering into the gas-powered golf cart field, but in the years that followed rose to one of the top-selling carts in the field. Club Car is now part of Ingersoll Rand Corporation.